A collection of useful tips and tricks to surviving the terrors of Arizona. Outlast was so terrifying because it ratcheted up the tension while making scared-shitless players feel utterly helpless. Instead, you needed to outsmart, outmaneuver, or outrun their enemies instead of facing them directly. The sequel, Outlast 2, is no different. This time you’ll be playing as a cameraman named Blake Langermann who’s accompanying his wife Lynn in the Arizona desert while she searches for information regarding the murder of a pregnant woman. Things naturally take a turn for the worse as the two arrive by helicopter, and you quickly find yourself trapped in a strange village filled with cultists who practice some twisted rituals with your wife at the center of it all. You’ll be equipped with nothing but your camcorder and a few batteries to survive the horrors of Temple Gate and rescue your wife, but the good news is there are a few things worth noting that should help you make it through the experience with fewer deaths under your belt. So, whether you’re attempting a perfect run or working your way through Outlast 2 for the first time, here are a few tips to keep you alive. 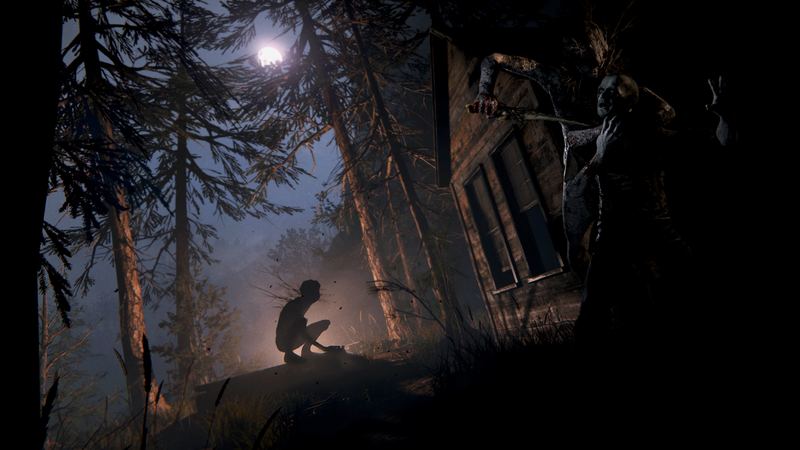 As in the original Outlast, batteries are your most valuable tool in the new game when it comes to navigating the many large, pitch-black areas of the game. Since your camcorder’s night vision relies entirely on being powered by them, you’ll often want to take the time to look for around for batteries hidden behind items on counters, in pots or drawers, and laying out in the middle of nowhere to serve as a trap. These batteries are invaluable to your success in Outlast 2, even if it means you’ll have to risk your neck to get them. Pick up every battery you possibly can. While it’s true batteries can be found everywhere in Outlast 2 if you look hard enough (on the standard difficulties at least), you’ll still want to conserve power as much as you can. Saving them for areas of the game that put you in the middle of complete darkness for more than just a few minutes will make your experience much more manageable. To do so, simply use your camcorder’s night vision in short bursts instead of letting it sit on for prolonged periods of time. This will save you dozens of precious batteries while still giving you the lay of the land every minute or so. Thanks to the many open environments present in Outlast 2, there’s plenty of room for you to sneak around your enemies provided you take the time to survey an area and plan your movements using hiding spots or tall grass. This strategy may allow you to avoid some encounters altogether, but it won’t stop the game’s major bosses or enemy encounters from forcing you into situations where you must run for your life. In these situations, don’t forget to flee, especially since there aren’t usually batteries or hiding spots you need to worry about missing during chase scenes. Just enjoy the exhilarating terror of running for your life. One of the new mechanics Outlast 2 introduced is the ability to bolt doors shut using the deadbolts placed atop many door frames. Because of the new larger environments throughout Outlast 2, these deadbolts become crucial tools for your survival if you ever get spotted, providing you with a few seconds to either run away or hide somewhere within the environment. If you take the time to stop and lock each door shut behind you, you’ll be surprised how much time you’ll have to think about how to approach a bad situation. In many of the encounters you’ll go up against in Outlast 2, you’ll need to use hiding spots to avoid enemies or major bosses before you get the opportunity to escape from their grasp. Most of these encounters actually happen once you’ve walked through a set area of the game at least once, making it crucial to memorize every bed you can hide under, closet you can retreat to, and house you can quickly run through to evade those chasing you. Planning is key to survival in Outlast 2, and you’ll thank yourself for thinking ahead every time you encounter an enemy rushing at you. While your camcorder is namely used to navigate the dark areas of Outlast 2, you can also use it to hear enemies through walls while roaming around. By activating the microphone attached on to your camcorder, a small set of bars will pop up on screen which detect sound in front of you. Naturally, the higher the bars raise, the closer something is to your position. If you’re ever trapped and not sure which was you should go to avoid patrolling enemies, just activate the microphone, and scan the area around you. By heading in the opposite direction of whatever it picks up, you’ll usually be in the clear. Usually. A leading member in the Testament of New Ezekiel and the secondary antagonist of the game, Martha is without a doubt the most frustrating and dangerous character you’ll go up against during your time with Outlast 2. Not only does Martha wield a gigantic pickaxe she can use to kill you instantly, she’s able to hit you from quite a distance, meaning that if you get even remotely close to her, you’ll end up on the floor in a matter of seconds. You’ll meet her a handful of times over the course of the game; resist the temptation to finishing the fight. Always backtrack and look for a large area or building you can use to circle around her.